Kerching! Play online slots at Kerching. Kerching is powered by Nektan (Gibraltar)Ltd, licensed by the Government of Gibraltar (RGL No.54) and the UK Gambling Commission (000-03917-R_319400-005). © 2017 IGT. All rights reserved. The maximum conversion amount from bonus funds, including bonus funds accrued from bonus spins, will be capped at 5x the initial bonus amount awarded. Bonus funds convert automatically once wagering is complete. Spins will be activated when you launch one of the above games, and are valid for 7 days. All winnings earned from the spins will be rewarded in bonus funds and carry a wagering requirement of 30x the total bonus amount earned. For example, bonus spin winnings of £10 would have a wagering requirement of £300 before converting into cash, up to a maximum of 5x the bonus amount awarded. 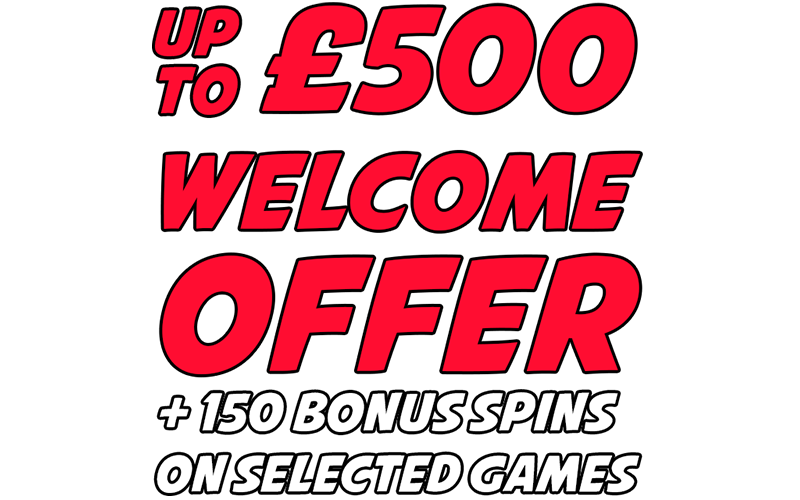 Bonus funds earned from spins will remain valid for 28 days. Bonus funds are exempt and unable to be used on the following games: Dracula, Guns 'N' Roses, Divine Fortune, The Invisible Man, Isle O'Plenty, Gong Xi Fa Cai, Genie Jackpots, An Evening with Holly Madison, The Pig Wizard, Thunderstruck II, Blackjack, Cats, Chilli Gold, European Roulette, Fortunes of Sparta, Golden, Gorilla Go Wild, Hi-Low Blackjack, Hi-Low Gambler Jackpot Jester Wild Nudge, JJ50K, Live Blackjack, Live Roulette, Lucky Larry Lobstermania, Megajackpots Cleopatra, Megajackpots Siberian Storm, Megajackpots Star Lanterns, Megajackpots Wolf Run, Blackjack Classic, Paws of Fury, Planet of the Apes, Slots-o-Gold, Steam Tower, Super Spinner, Top Cat, Vikings of Fortune, Winstar, Game of Thrones, Worms. Only one bonus and one set of bonus spins can be active at a time. Please go to "my profile" section to view your entire bonus queue. Management reserves the right, with the consent of the user, to use first names, initial of last name, nicknames and/or country or town of residence in any promotional announcements, recipients of any promotional bonus and in other marketing activities, whether on the Service or elsewhere.